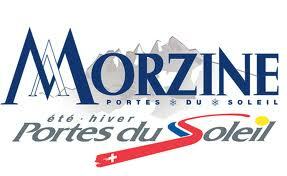 Ski-Lifts run limousine airport transfers to Morzine 365-days a year. We can provide limousine airport transfers to Morzine from Geneva airport as well as Lyon, Grenoble and Chambery airports. Unlike some other companies that advertise a luxury service, you can be confident that a limousine transfer to Morzine with Ski-Lifts offers something memorable for your holiday. You will be picked up in a luxury Mercedes S-Class limousine, featuring DVD players, climate control, leather seats and plenty of space for your party. With a limousine transfer you do not have to share your vehicle with anyone else, you are met at the airport by your chauffeur and taken directly to your accommodation in Morzine. This means there is no waiting time at the airport. If your flight is delayed, your chauffeur will still be there to meet you when you do arrive. Your return limousine transfer from Morzine will pick you up directly from your accommodation. We confirm your exact pick up time, the afternoon before you depart by SMS text message and it is tailored exactly to your flight time, or your own personal demands. A limousine transfer to Morzine offers you genuine luxury. The Mercedes S-Class limousines can carry up to three passengers and luggage. For larger groups, then there is an option for a stretch hummer limousine transfer instead.